If you’ve been following our adventure through Thailand, Sri Lanka and Bali, you’ll know that we love turtles and have had some amazing experiences with the beautiful creatures, from swimming with them to spotting them mating in the ocean on a Blue Whale watching trip! 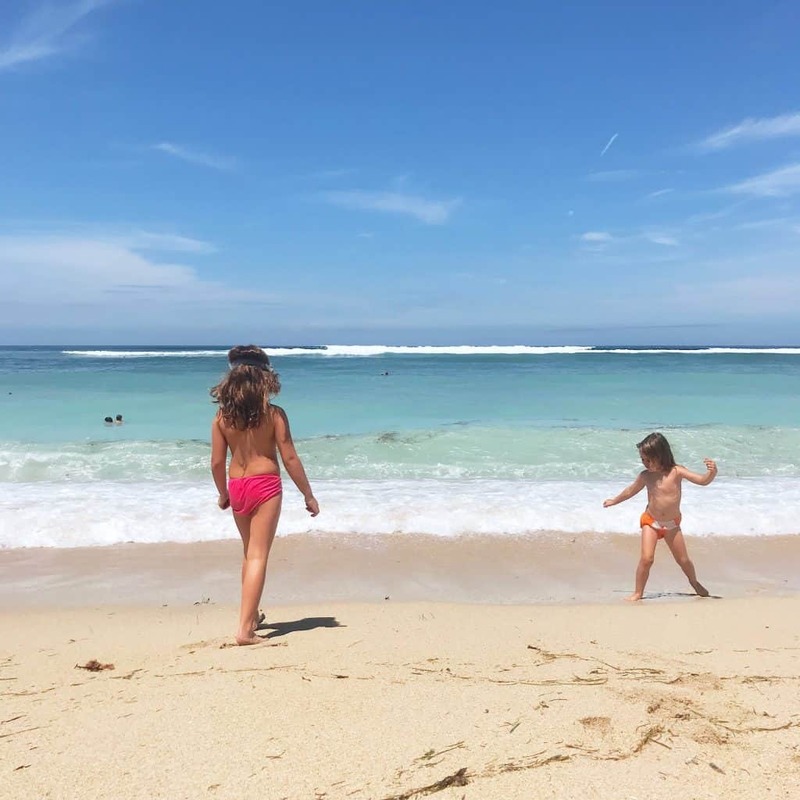 If you are travelling to Bali do see these posts for help and advice about your trip after you have read this post, and if you want a comprehensive pocket guide we recommend the Lonely Planet guide below. While in Sri Lanka there were plenty of offers to go and visit ‘turtle sanctuaries’, but after plenty of research we found that they mainly seemed too unethical and we couldn’t find one that we thought would be ok to visit, so we didn’t. We had pretty much written off visiting a turtle sanctuary here as too often the ‘sanctuaries’ for turtles Bali has are dirty, dark shacks on tourist beaches with poached baby turtles that tourists pay to release. No thanks. I was THRILLED then to be told by new friends that there was actually an ethical turtle sanctuary near Serangan harbour, about a 20 minute drive from where we are living in Bali long term. 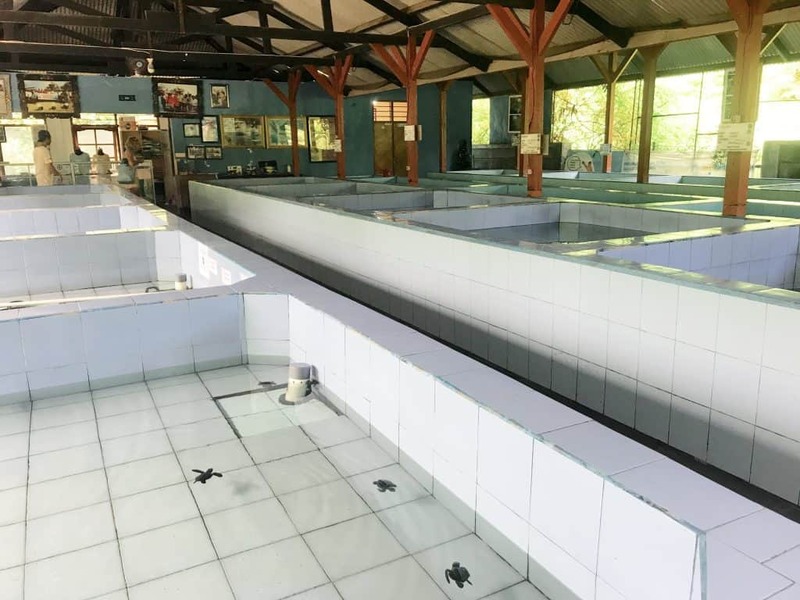 I am very skeptical when it comes to visiting animals now and there are plenty of animal attractions to avoid in Bali but when I researched online it turns out that the Turtle Centre for Conservation and Education is a REAL LIFE PROPER SANCTUARY, people! 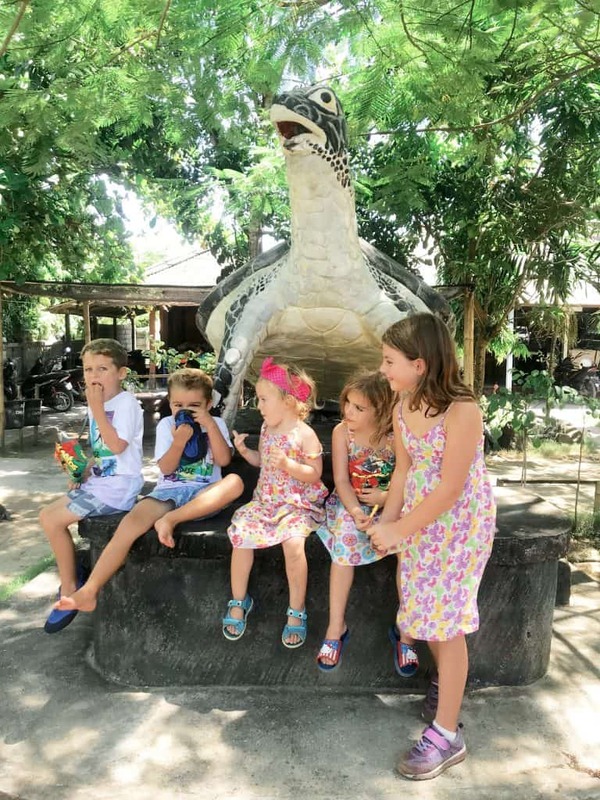 Excitement overload ensued and of course we arranged a day trip to explore Serangan island (Serangan harbour is a popular gateway to the Gili islands) and visit the sanctuary for turtles. I LOVE this photo. Our new gang, three sisters and two brothers figuring out life on the island. Important things, like which shoes smell really good in the midday heat. 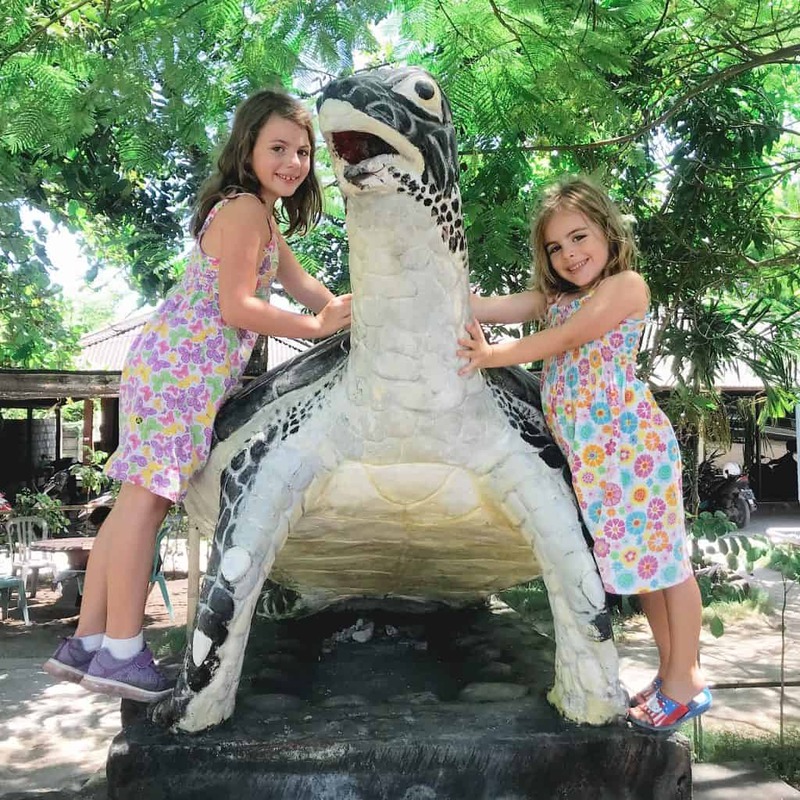 WARNING: if you book a tour, a boat trip or a driver to the turtle sanctuary, they will most likely take you to a place near a big sign saying Turtle Island Bali, with drawings of turtles on. This place near the Turtle Island Bali sign has other animals such as bats, birds and snakes at the place, with quite dark concrete pens and it is NOT the right place. 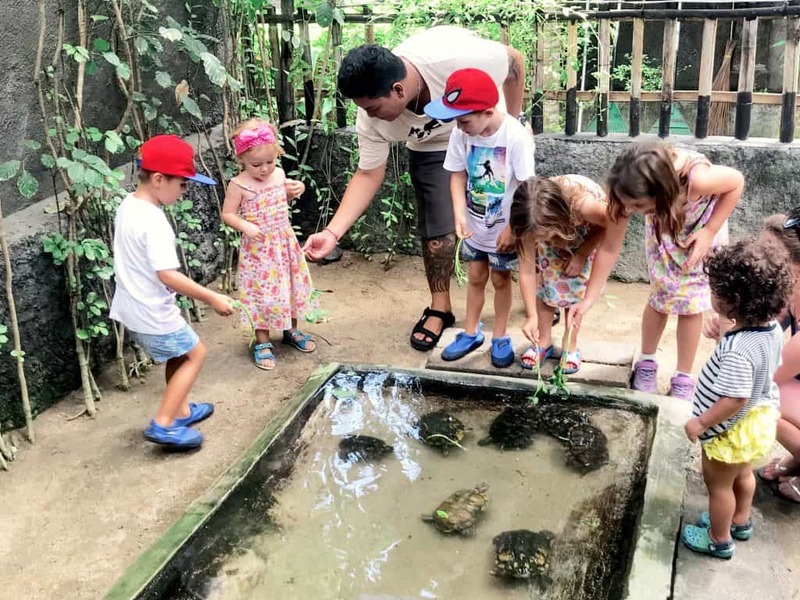 It is another turtle place that is purely for tourist entertainment, they let tourists touch the turtles and it is dirty and horrible. Do not go in, only agree to go to the Turtle Centre for Conservation and Education. Entry to the proper centre is by donation, not a ‘price’ and you are not allowed to touch the turtles (this is one sign of a proper sanctuary) you can however pay to release a baby turtle if they have ones that are of release age at the time of your visit. Serangan island is now more of a peninsula, as the water between the island and the mainland has been bridged with a road. As you drive over to the island you will notice the landscape changes to mangroves, and then white-dust roads borders by greenery on one side and blue water on the other- it feels like driving along the coast of Australia! Bali turtles in their swimming pool. I’d swim in it, it was that clean. We arrived at the centre and were greeted by a large sea turtle statue and a friendly guide. We went into the centre, first to see the largest pool for their two largest Green Sea Turtles, the turtles Bali is most known for. Their home was the size of a large, very deep swimming pool and the staff had just finished cleaning it out. The first thing I noticed was that the ‘tanks’ were tiled, not dingy concrete like we have seen in other places. 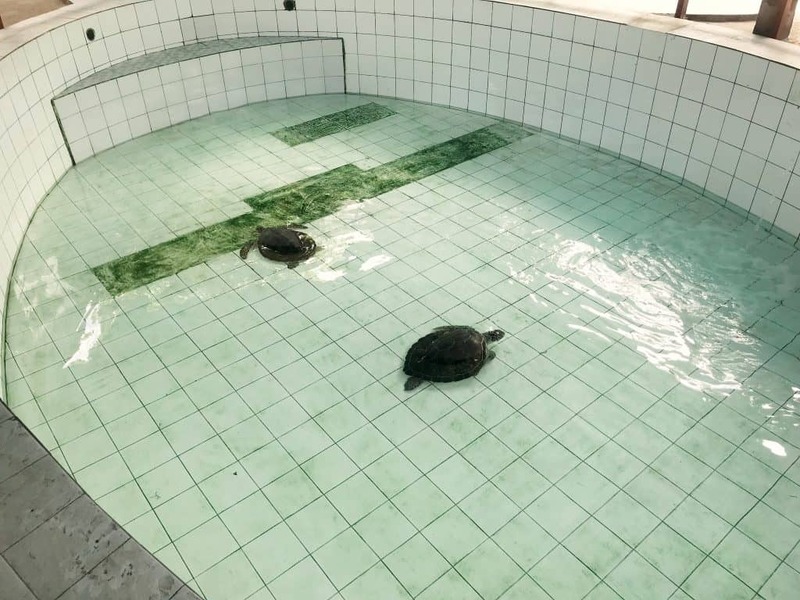 There was plenty of natural light as the pool was covered above but light flooded in as there were no walls, which I imagine is much better for ventilation and the turtles in general. Next to the tank was the egg area; the centre purchases eggs from locals who have dug them up, to ensure that they don’t end up eaten, kept in tourist attractions or with the shells used for ornaments. 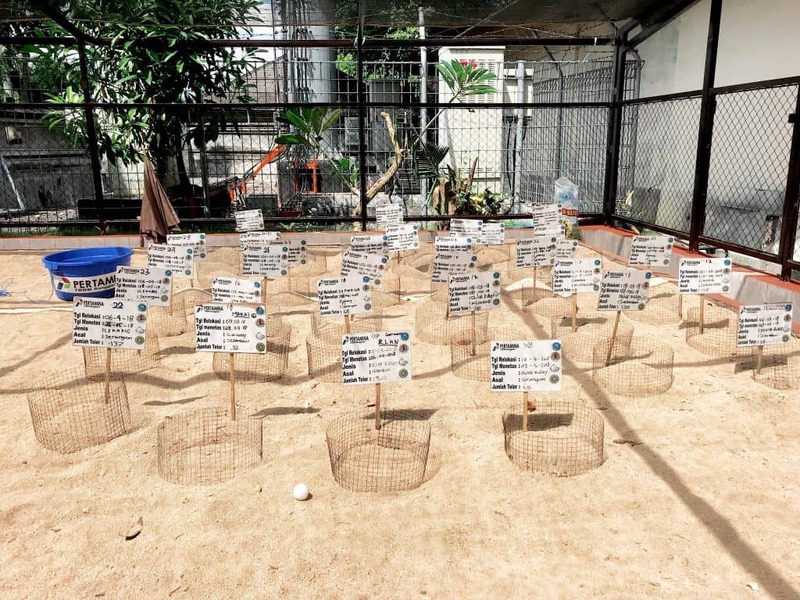 The eggs are buried in sand with labels about the species and estimated hatching date; when the turtles are born they are cared for before being released into the wild. The turtle hatchery, with a ping-pong ball for egg size reference. The Centre provides education for local schoolchildren about turtle conservation as well as training for locals on how to create turtle ornaments and souvenirs from coconut shells as opposed to turtle shells (the turtles Bali is particularly trying to protect due to poachers are the Green Sea Turtle for meat and the Hawksbill Turtle for its shell). 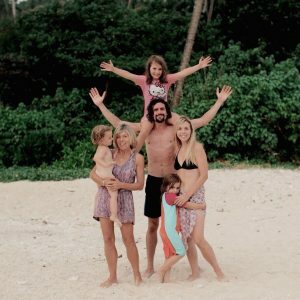 They have these available to buy at the Centre and this seems like such a great idea to not only provide local opportunities to people needing work, but educating people on how to do this ethically and while preserving the turtles Bali is home to. There is also a small pond that is home to ‘snapping turtles’, or terrapins. The kids loved hand-feeding these little critters, but were surprised when one differently coloured terrapin was ganged up on, with other turtles biting down on its head and twisting it around! Nature is fierce, people! Feeding time for the terrapins. Only the best raw vegan lunch for them. After time at the Bali turtle centre we decided to check out one of the nearby beaches; friends who have lived here for nearly a year told us it was a great little hidden beach, and they were spot on. 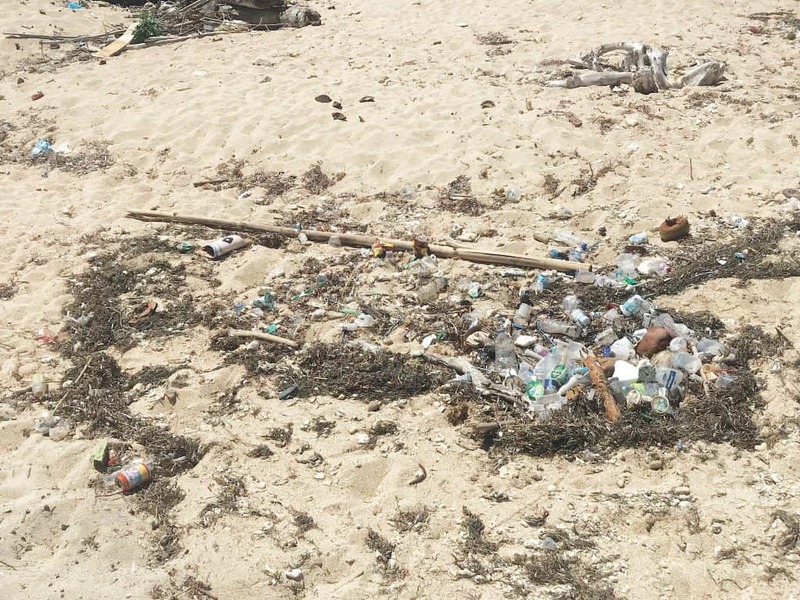 You have to be able to look past the plastic on Bali beaches, there was lots on this one but naturally it was an absolutely stunning beach with soft white sand, sparkling blue water and loads of washed-up shells, driftwood and coral to play with. I was reliably informed by our gang of 2-7 year olds that they had discovered a T-rex leg, which you have to admit is pretty good going for a couple of hours at a beach. 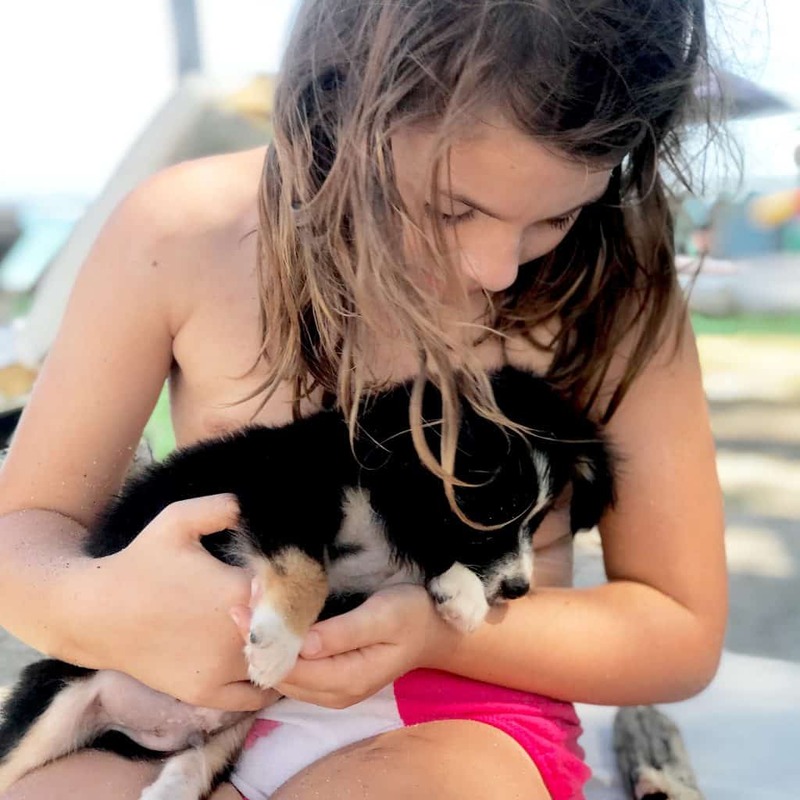 We ate at a simple warung; noodles and rice and crackers, read e-books on sun lougers, hunted for fossils and played with the most adorable puppies that were on the beach with their owners. Patrick’s dog bite this week takes our grand total to FOUR in seven months, but these ones were lovely and cuddly and friendly. A random cow appeared, out of nowhere, and proceeded to nuzzle everyone for a cuddle before cracking open a coconut and eating it on the sand! A cow’s gotta have some down time too, ya know. Serangan island is a lovely, quiet, unspoilt place to go for a day out. 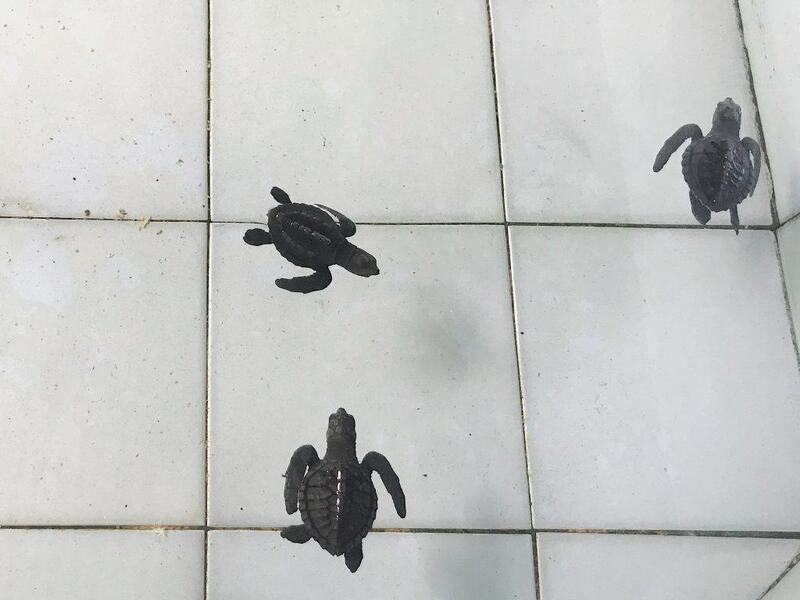 We loved visiting the sanctuary and seeing the turtles Bali is desperately trying to protect, and we hope to go back soon to join in the release of some of the larger residents- exciting stuff! 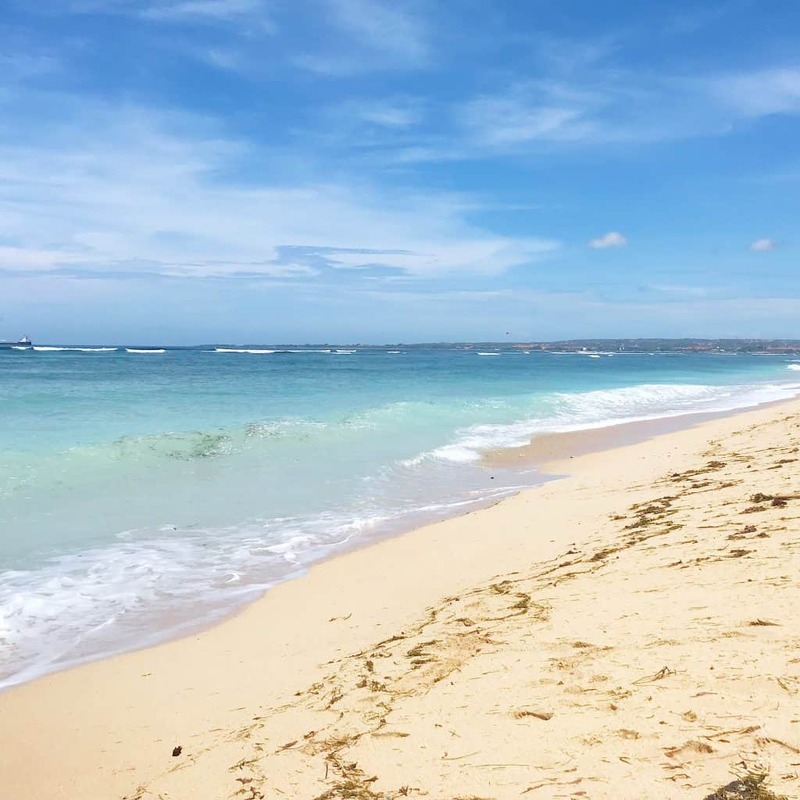 If you’re heading to Bali, check out our other posts including how to get to the Gili islands, a guide to Nusa Penida and a quick-start guide to visiting Bali. 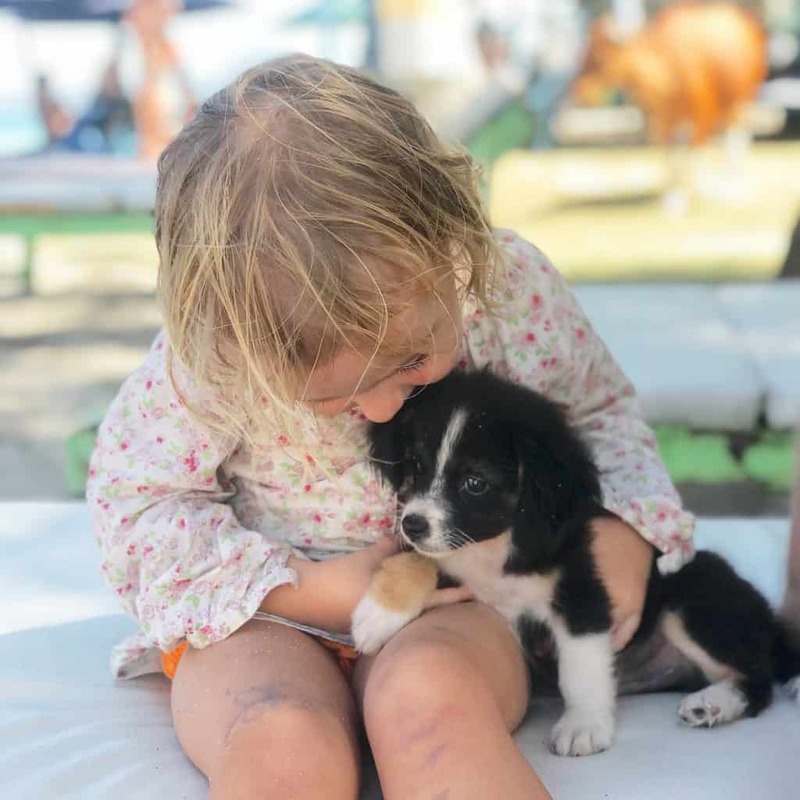 There are plenty of stories there about our time in Bali to, from rescuing stray kittens to trying out aerial yoga (with hilarious results!). We recommend using Booking.com or Hotels Combined to find great value accommodation; we have used them through Thailand, Sri Lanka and Bali. 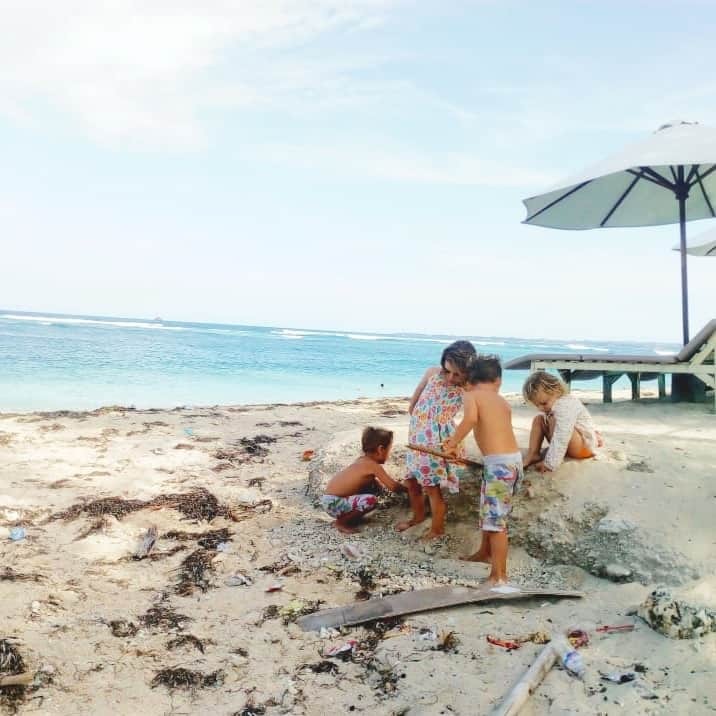 If you want a Bali long term rental, click here. A day trip through Ubud’s iconic rice terraces and temples with a stop at a scenic volcano. Little Adam's Peak Sri Lanka with 3 kids: Yes or No? You’ll see her in the vid going up tomorrow! Cracking cow she was.